KIEV, Ukraine -- The governments of Ukraine and Cuba are in the final stages of planning for a treatment center for cancer patients in Ukraine, and are discussing to jointly produce cancer drugs, Ukrinform reported. There is interest in joint cancer drug production at the Darnitsa headquarters in Kiev. The cancer hospital and joint drug production would provide Cuban medical services and technology a window on the European market. Ukrainian Prime Minister Mykola Azarov received a draft agreement for the cancer treatment center from Vice President and economic reform czar Marino Murillo, who headed a Cuban delegation that was in Kiev Feb. 28. The center, which would be entirely funded by Ukraine, would use Cuban technology and pharmaceuticals. After more than a year of planning, the Ukrainian health ministry is now working on the Cuban draft; it will then be submitted to the Cuban side for signature. “We know about the wonderful results of treatment of cancer patients, achieved by the Cuban doctors,” Azarov told Murillo, according to Ukrinform. 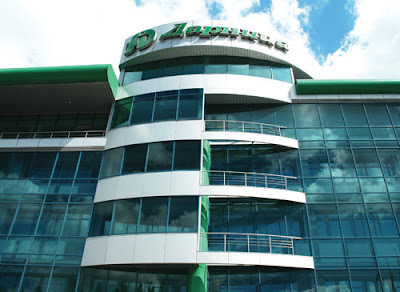 ZAO Darnitsa, a Kiev-based state pharmaceutical company, is also interested in jointly producing cancer drugs in Ukraine with the Havana-based Centro de Inmunología Molecular (CIM). Cuban health cooperation with Ukraine goes back to the Chernobyl nuclear disaster. Since the 1980s, Cuba has treated 18,000 cancer-affected Ukrainian children on the island, at no charge. Azarov said his government was ready to fund the program. “I want to emphasize that Cuba is the only country that is so much concerned about the Ukrainian children,” Azarov told Murillo.